The objective of this business guide is to give a short overview of the Taxco sales Invoicing and Collection Service to the business owner or professional, the benefits thereof and some important considerations when it comes to business sales and outstanding debtors. Your business has many day-to-day operations which you can easily outsource and get a professional accountant to do for you. One of these include the daily routine of invoicing your clients, mailing or e-mailing the invoice to them, sending them a statement at the end of the month and then the important task of collecting the payment from the clients that now owe you for the work or products delivered. Taxco can take this sometimes routine and mundane task from your hands at a fraction of the cost of what a full time or half-day assistant would have cost you, with the added benefit that we require no supervision, no training, do not take leave and deliver a service of a very high professional standard with full reporting and audit trails. We simply create a Sales Invoicing System specifically designed for your business on our side, you then provide the client, special services and/or product details, with any other information you may deem necessary or as you may require on your invoices, after that you mail or fax the invoice detail to us and we do the rest. A minimal set-up charge and charge per invoice/ statement ensures that you only pay for the value you receive. All invoices/ statements copies are Bcc emailed to you for your own records, even the ones that are sent by post. No more need for you to follow up on payments once the invoice has been issued. You advise us on your credit policy agreed with each client i.e. 30 days or 60 days after the invoice was issued and again we do the rest. We create a separate account in your business entity name with Investec Private Bank and utilise this account to receive all your client collections for management and control purposes. Collections are done either manually, or by receipting and banking of cheques and/or by ACB (debit order) as may suit your circumstances. Monies received are paid over electronically to your general business account as soon as it is available. As the Investec account is in fact YOUR account, you may make electronic payments there from to whoever you may wish as monies become available from your debtors. You have complete access to daily electronic bank statements as you may require. 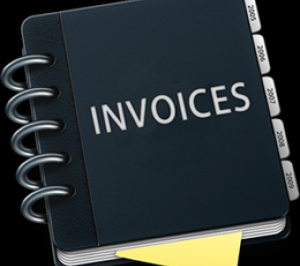 In most cases, the business owner or professional is too busy to constantly contact the companies to find out about payment, so Taxco issuing the invoice can act as a liaison of being an invoicing service that follows up with the clients. You keep the good relationship, we collect your money! A business owner or professional has many things that needs to be done when operating his or her business or practice, from day-to-day production operations to sales, to payroll, to invoicing, that make the owner or professional at times run the risk of spreading themselves too thin, so that is why it is wise to find opportunities that will make you not have too many things on your plate while functioning properly without any interruption. Our invoicing and collection services are the best for our clients because we keep track of the due dates and act as early warning signal when a client is in default for immediate legal action. You will by now have realised that this is an invaluable service for your business or practice, but as with most things in life it all comes down to the cost. As there are no hard and fast rules here, and fees are negotiable depending on your specific requirements and volumes, we invite you to Contact Us for a free discussion and quotation on how we can customise this service to suit your requirements or to answer any questions you may have about our Invoicing and Collection Service.